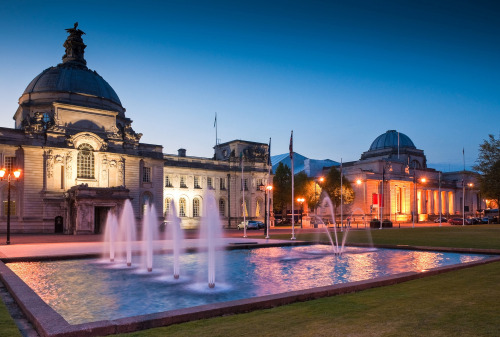 The 15th International Symposium on Hyphenated Techniques in Chromatography and Separation Technology (HTC-15) will take place in Cardiff from 24th to 26th January 2018. This will be just the second time in HTC's history that the event has taken place in the UK, and it will be the premier UK analytical meeting in 2018, attracting national and internationally renowned scientists. The meeting is being organised by the Royal Society of Chemistry Separation Science Group and the Royal Flemish Chemical Society (KVCV), with support from the British Mass Spectrometry Society (BMSS), the Chromatographic Society, the Joint Pharmaceutical Analysis Group and the Analytical Chemistry Trust Fund. The opening plenary lecture, will be given by Professor Peter Myers, and this will be followed by the presentation of the Knox medal. The remaining plenary lectures will be delivered by Prof. Rob Beynon from the University of Liverpool, Prof Tuulia Hyötyläinen from Örebro University, Dr Eric Little from Othus Inc and Prof. Peter Schoenmakers from the University of Amsterdam. Details of the plenary lecturers and speakers can be found at www.htc-conference.co.uk. The presentations at HTC-15 will cover issues such as Big Data, sample preparation, separation science, green separations, clinical hyphenations, interfacing and ionisation, ion mobility - mass spectrometry (BMSS), metrology, data handling, microfluidics and many more. The speakers will address a wide variety of applications including energy, petroleomics, pharma, forensics, the environment, toxicology, drugs in sport, food and beverages. In addition to the core scientific programme, the symposium will host a technical exhibition featuring over twenty of the world's leading suppliers of laboratory equipment and related services. Instrumentation manufacturers and developers will present their latest technologies, software and applications related to sample preparation, the hyphenation of separation and detection methods. For those that are only interested in visiting the Exhibition, entry will be £10/day which includes lunch.